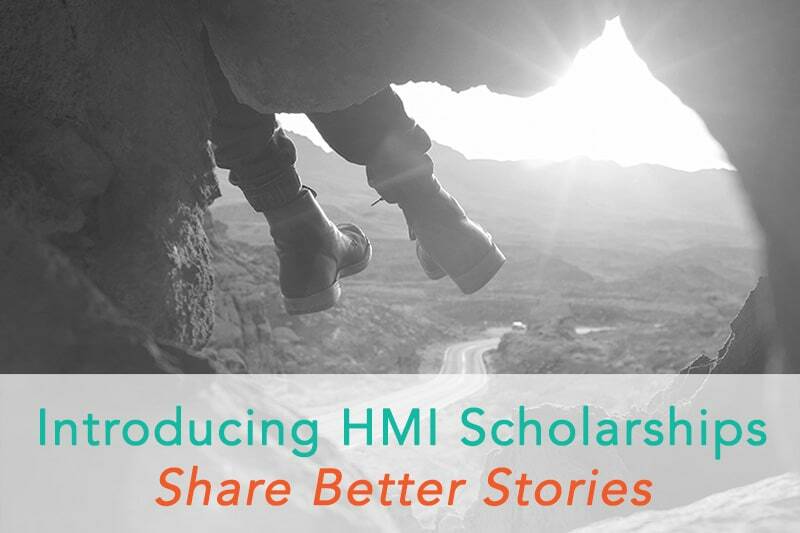 Introducing HMI Scholarships: Share Better Stories - Hecktic Media Inc.
Have you heard of Humans Of New York? I’d bet you have. Since 2010, thanks to his massively popular photoblog, Brandon Stanton has gathered over 25 million followers on social media and had a spinoff book on the New York Times bestseller list for the best part of a year. By telling stories of the people he’s met on his travels, using their own words, he’s created the most successful microblogging project of all time. But have you heard of his considerably more successful London-based counterpart? For the moment, let’s call him B. He’s a newspaper journalist turned sketch-based storyteller, and he wanders the streets of England’s capital, sometimes very early in the morning, scribbling in his notebook every time he sees something fun, exciting, terrifying or wonderful. Then he takes his notes home, writes them up in a really creative way, and publishes them. In the beginning, he had a big traditional publisher behind him, but huge success with his first book allowed him to buy the rights back for his works – and now he self-publishes. All the money goes straight into his pocket. Thing is, he started out writing travel essays. But B wanted to experiment, and he wanted a really big audience who really loved his work. So he shifted from anecdotal, semi-fictionalized travel-writing into writing novels, huge works of fiction but so heavily grounded in the London he saw every day that they’d be recognisable to any fact-loving Brit. But he also didn’t want to just write a book, like everyone else writing that kind of stuff. Because of his newspaper background, he knew how stirred-up everyone got about serialized storytelling – so he ran an experiment. For a super-cheap subscription that anyone could afford, you signed up to get a couple of chapters a month from him. To his delight, tens of thousands of people did so. So he kept going with it. When the series finished, 19 installments and 20 months later, B was a wealthy man. Fame and success quickly followed. His novels are currently raking in around £3 million ($3.8 million) per year. A recent BBC adaptation of one of them attracted over 6 million viewers. And, just like Humans Of New York, it all started from telling stories about the people he met on his travels and communicating them to an audience in a really interesting (and increasingly lucrative) way. The biggest difference between them isn’t geography – it’s time. B’s serialized first book was called The Pickwick Papers, and his real name is Charles Dickens. A lot of up and coming travel bloggers have their literary heroes. Oooh, I want to write like Bill Bryson. I want my blog to be the next Eat, Pray, Love, or Wild. But how often does someone say I want to write about travel like Charles Dickens? At first glance, it looks a bit of a daft statement. Not only did Dickens write fiction, he did so more than a century before the first computer was invented. What works online and what used to work offline are vastly different things, aren’t they? There are keywords, SEO, and an endless procession of new factors to think about when writing a travel story that’s designed to appeal to a modern audience. What Dickens did back then is irrelevant for today’s world. Surely? Okay, let’s talk about… *mumble-mumble*. Sorry. I know I should have said that a lot more clearly, but – the word “storytelling” is a real problem. Around 2012, “storytelling” became an overused PR and marketing buzzword – a sloppily defined, infuriatingly vague way of saying “write more words” (which is as bad a definition of storytelling as I can imagine). Now some people are saying it’s dead, and blaming the advertising industry. So, of course, you hate storytelling. Everyone does. It’s empty jargon that people use when they’ve run out of useful things to say. Meanwhile, “story” seems to have come to mean “writing an acre of unbroken, poorly punctuated text that nobody will ever get round to reading.” Some folk write stories for family and friends – and the rest of the travel industry writes content that attracts search engine traffic and gets huge numbers of shares on social. There’s no traffic in narrative, and no money either. If you want to write narrative, get a book deal or something. Why bother with using it online? 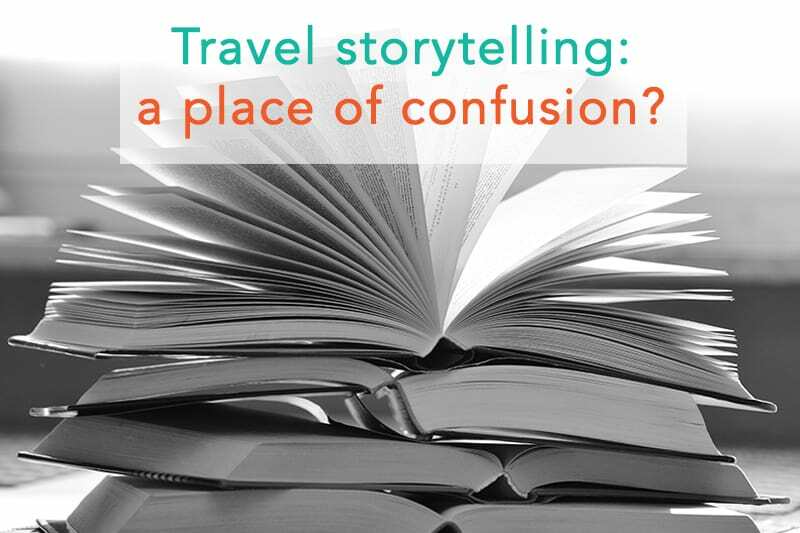 That’s where travel storytelling seems to be in 2018 – a place of confusion and misunderstanding that we have to claw ourselves back from, if we want our work to really cut through the noise. Here are a few reasons why story is a totally different thing altogether, and why it should be at the centre of everyone’s online work. It’s a toolkit, not a single unified approach. It’s not one huge unwieldy strategy for writing that will completely overhaul everything you’ve been doing and take months to plan out. It’s just a bunch of things to test out, bit by bit – and they’re not mutually exclusive with every established method of delivering content. You’ll notice this post starts with a bit of story about Humans of New York and Charles Dickens, and now it’s a listicle. It’s allowed! And it works just fine, I hope you’ll agree. In fact, storifying your opening paragraphs usually has a measurable effect on engagement, as helpdesk software company Groove found when they ran a simple A/B test with their posts. The more people genuinely care about your stories, the more you’ll trigger behaviour that search engines use to rank your content. If someone trusts you (and storytelling is all about building trust over time), they’re more likely to click to your site, even if someone else is outranking you in a list of results. If they love your work, they’ll link to it, giving you a backlink. If they keep reaching, your Time On Page and Bounce rates will get healthier. If your stories have wide-ranging appeal (as good stories tend to do), your traffic sources will diversify – a vitally important factor for SEO. The list goes on. Search engine rankings are ultimately determined by human behaviour – so if you can make enough people care about your work, the robots will reward you with all the traffic and clickthroughs you want. It’s that simple. It’s terrific for getting insanely high-quality links. Let’s say you want to write an article about nearly drowning. Which is better – a How To post about safety while out on the river, or a story that holds back exactly none of the horror you experienced? There’s nothing stopping you doing both…but would that narrative find an audience in today’s world? Ask Tim Cahill, founder of Outside Online, who published this terrifying story in 2017 to wide acclaim – which was just listed as one of The Atlantic’s best 100 pieces of online non-fiction writing over the last year. That’s one hell of a backlink. Or take a look at narrative travel writer Jodi Ettenberg’s Press & PR page on her blog, with links from the New York Times, Business Insider, National Geographic, CNN, BBC.com and more. They all came in because she’s great at telling her story – and telling stories, period. A standard sales-letter is a story about a problem the reader is having. The more the reader really feels that problem (somewhat ghoulishly, we call this “twisting the knife”), the more likely they are to purchase a solution from that same page. Sales are also built on trust, and the best way to build trust in an individual or a brand is with a good story. Okay. Storytelling. It’s a thing (or more correctly, a box of things). It’s practical and useful. And it really, really works. So how can anyone get started with this stuff? What are the specific techniques used by expert storytellers like Brandon Stanton, Charles Dickens and Jodi Ettenberg to grab the attention of huge audiences and drive tons of attention? 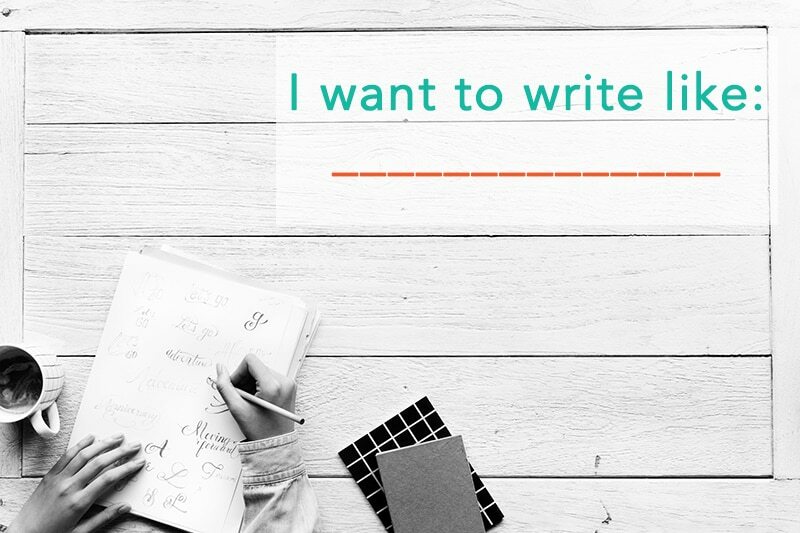 That’s been my field of study for the last eight years, and I’ve crafted a course around it – and now I’ve teamed up with the team at HMI to help aspiring and veteran bloggers to Share Better Stories. We are awarding access to an eight-week email-based course to SEVEN bloggers. Also included is access to two private Facebook groups — one based entirely on travel storytelling (members will be awardees, myself, and Dalene Heck), and the other an existing group with multi-niche storytelling. We are so fortunate to have three incredible women to assist us in choosing the scholarship awardees. Torre DeRoche is the author of Love with a Chance of Drowning and The Worrier’s Guide to the End of the World. Hailing from Melbourne, Australia, Torre’s work has appeared in The Atlantic, in The Guardian Travel and alongside Cheryl Strayed, Dave Eggers and Sloan Crosley in two Lonely Planet travel writing anthologies. She is currently writing a thriller novel inspired by a screenplay her father wrote in 1992. Jodi Ettenberg is a writer, photographer, and public speaker exploring the world since April 2008. Her website, Legal Nomads, tells the stories of places she visits, often through food. A celiac, Jodi’s guides and translation cards have helped many others with food restrictions eat safely around the world. She is known for tackling tough topics like chronic pain, grief, and anxiety, sharing both the good and bad to give a realistic narrative of an unusual life journey. Jodi is the author of The Food Traveler’s Handbook, and recipient of Lowell Thomas Awards and North American Travel Journalist Association awards for her writing and photography. She has been featured in the New York Times, National Geographic, BBC Travel, The Guardian and more. 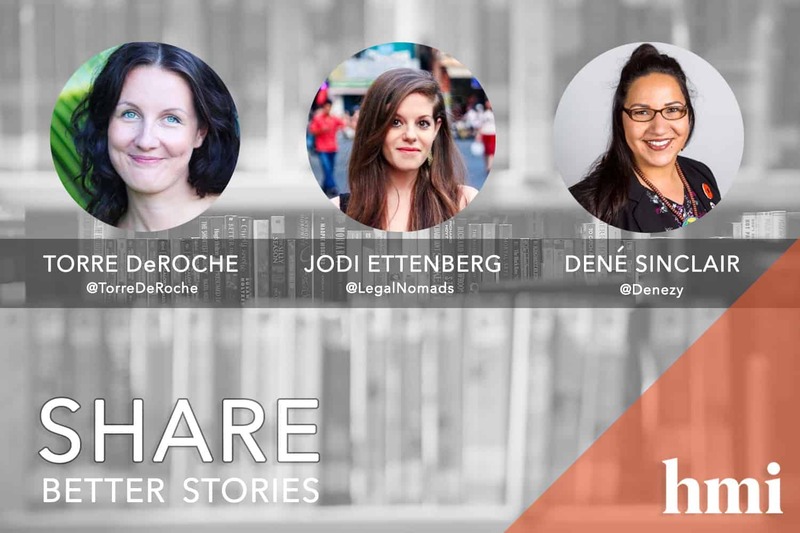 Prior to founding Legal Nomads, Jodi worked as a lawyer in New York for 5 years. Dené Sinclair serves as the Director of Marketing for the Indigenous Tourism Association of Canada. She has more than 10 years experience in tourism marketing and destination development after spending more than a decade with Travel Manitoba. Dené has been recognized as one of CBC Manitoba’s 2016 Top 40 Under 40 as well as a 2016 Finalist of the YMYWCA’s Manitoba Women of Distinction. Dené has a diploma in Public Relations from the University of Winnipeg, and is working towards a Masters Degree in Interdisciplinary Studies with a focus on Communications, Tourism and Indigenous Studies at Royal Roads University and the University of Manitoba. Dené lives and works in Winnipeg on Treaty 1 Territory and the Homeland of the Métis Nation. She acknowledges her traditional homeland around Selkirk, Manitoba (St. Peter’s Band) as a member of Peguis First Nation and a proud Anishinaabekwe. Thank you so much to everyone that applied! Stay tuned for updates on our awardees.